This spring the two ICP Teen Academy sections of Photo II in Black-and-White: Developing a Narrative spent a Sunday afternoon at the ICP Library preparing for their final productions, which were to be photobooks! The instructors, Lesly Deschler-Canossi and Jaime Schlesinger, brought their remarkable book-makers in on a day the library is normally closed, and we made a presentation of various narrative books using a digital overhead projector called Elmo. Next, we walked them through some searching strategies for how to find narrative photobooks in our catalog and in others, as well. Afterwards the group had time after to fan out and discover new wonders from the library’s 22,000 volumes. They were really excited to have the place to themselves, and were really inspired, which is one of the main things our library was designed to do. 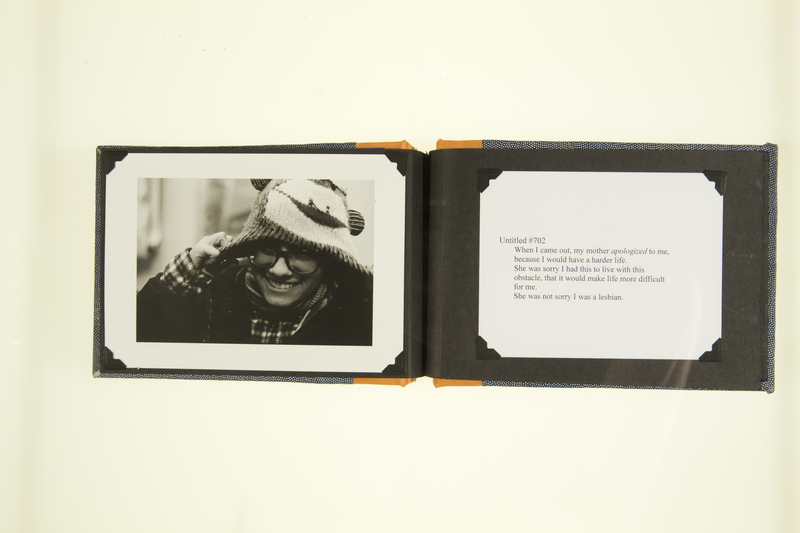 The grand finale was some weeks later, when the students presented THEIR narrative photobooks! Remarkable! Above is a slide show to give you a glimpse of these fine books. Teen Academy fall registration is now open for our ten-week classes and our yearlong intensive Imagemakers program! Detailed program information can be found HERE. Kimberly Iboy. Yo Soy Madre. Crystelle Colucci. What the Grown-Ups Don’t See. Baum, Erica. Dog Ear. 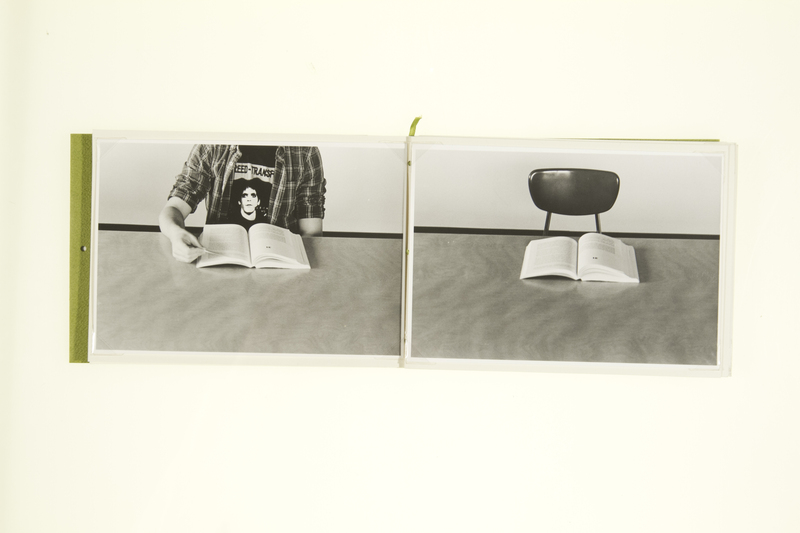 Essays by Kenneth Goldsmith and Beatrice Gross. 1st ed. New York : Ugly Duckling Presse, ; 2011. 69 p., 22 cm. TR179.5.B381 .D64 2011 Summary Note : Dog Ear explores dog-eared pages of mass-market paperbacks which are photographed to isolate the small diagonally bisected squares or rectangles of text. Bayan Ko! Kowloon, Hong Kong: Project 28 Days, 1986. 191 p., 32cm. TR820.P6 .B39 1986 Images of the Philippine People Power Revolt. Bourke-White, Margaret. Twenty Parachutes. Introduction by Trudy Wilner Stack. [Tuscon AZ]: Nazraeli Press, 2002. 30 p., 25 cm. TR654 .B68 2002 General note: Photographs of parachutes being tested by employees of Irving Air Chute Company in Buffalo, N.Y., at that time the largest manufacturer in the world, taken by Bourke-White for the cover story of the March 22, 1937 issue of LIFE (sequence not published in the article]. Graham, Paul. A Shimmer of Possibility. Gottingen: SteidlMack, 2007. 12 v., 33cm. Rare TR659.8 .G73 2007 This work consists of 12 volumes printed in a limited edition of 1,000. Volumes: Las Vegas & San Francisco; Washinton and South Broad, New Orleans 2004-2005; Austin, Texas, 2006; California, 2005-2006; New York & North Dakota, 2005; Pittsburgh, 2004; Everett Avenue, Chelsea, Boston, 26th August 2006; Camarro, Louisiana, 2005; New England, 2006; Chicago, San Francisco, Minneapolis, New Orleans, 2005-2006; Louisiana, 2005; Texas & North Dakota, 2005. Leen, Nina. Sandikins. 1st ed. New York : Holt, Rinehart and Winston, c1975. p., 24 cm. TR679.5 .L44 1975 Summary Note: Text and photographs follow the adventures of imaginary seashore creatures made from the egg cases of the skate fish. Lewitt, Sol. Autobiography. New York : Multiples ; Boston : L. and M.K. Torf, 1980.  p., 26 x 26 cm. Rare TR179 .L48 1980 “Photographic catalogue of every object in the artist’s living and working space in New York City”–Dust jacket. Magnani, Francesca. Ogni Sette Anni. 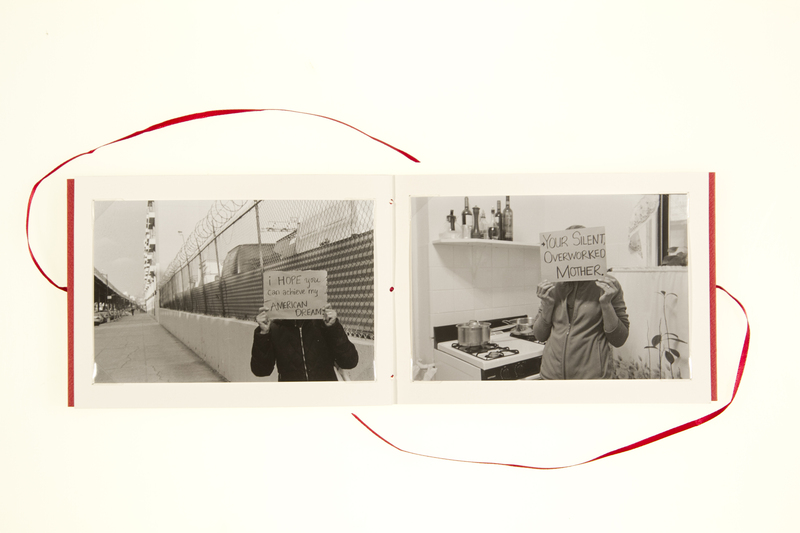 Includes essay, Blood is their argument / by Marino Niola; Italian text in book, English translation on loose sheet.Napoli: F. Mangani, 2004.  p., 11X16 cm. Rare TR179.5 .M34 2004 General note: A story made of words and images about a ritual that takes place in the small town of Guardia Sanframondi in which every 7 years the entire population of the village honors the Madonna Assunta with a parade of flagellants and self-beaters, in a sort of collective mea culpa, a sacred representation that involves every single citizen. Ruscha, Edward. Crackers. [Hollywood, Calif., Heavy Industries, c1969] 1v., 23cm. Rare TR679.5 .R87 1969 Photographs by Ed Ruscha, Ken Price, and Joe Goode illustrating Mason Williams’ 1967 short story “How to Derive the Maximum Enjoyment from Crackers” (the text of the story is printed on the back dust jacket flap). Sanguinetti, Alessandra. Las aventuras de Guille y Belinda y el enigmatico significado de sus Suenos. Prologue by Maria Sonia Cristoff .1st ed. Buenos Aires : Dilan Editores, 2008. 66  p., 20 x 24 cm. Stavast, Petra. Libero. Arnhem: Roma, 2009. 200 p., 25cm. Edition of 750. TR179.5 .S72 .L53 2009. Summary note: In an abandoned house in Calabria (Italy), Stavast found old pictures and letters. 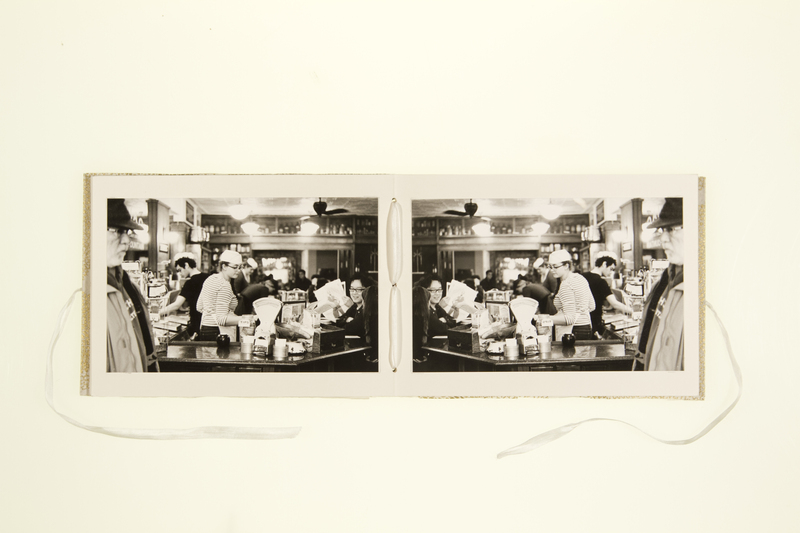 She started to search for the people on these pictures and reconstructed the story behind the images. Taylor, David. Working the Line. Text by Luis Alberto Urrea and Hannah Frieser. New York: Radius Books, 2010. 2 vol., 27 x 30 cm. TR820.5.M58 .T391 2010 General Note: David Taylor examines the contentious territory that is the U.S./Mexico border is organized around a series of approximately 260 obelisks that demarcate this boundary, and which were installed in the late 1880s. Ugarte Bedwell, Alejandra. Re:…Y…donde estan los libros? : Fragment of a conversation with my father using our personal libraries. New York: Alejandra Ugarte Bedwell, 2010. 1 sheet folded into glassine sleeve, 64X96cm. TR179.5 .U331 .R49 2010 The title “Re:…So…Where are the books?” refers to her e-mail exchanges with her father that are illustrated by page scans from books they each own. VanDenderen, Ad. Go No Go: Frontiers of Europe. Edam: Paradox, 2003. 250 p., 27 cm. TR820 .D44 2003 The formula is simple: a family sells all possessions in order to enable one young man to make it to the West. The numbers of people effected, either the youth sent ‘ahead’ or the families left behind, are staggering and the extent to which people are willing to risk life and limb is heart-wrenching. Ad van Denderen has been photographing this contemporary displacement for over 15 years, since witnessing it firsthand while on assignment in eastern Turkey. Wessels, Mariken. Elisabeth – I want to eat. [Amsterdam]: Alauda Publications, 2010. 80 p., 33cm, edition of 150. Rare TR179.5.W47 E45 2009 A book that consists of a collection of anonymous photographs, letters and postcards belonging to a young woman, which the artist stumbled upon in a shop in the Hendrik Jacobszstraat in Amsterdam. A story gradually emerges through them. Wright, Dare. Rare The Little One. London : Oldbourne Book Co., 1961. 56 p., 32 cm. TR656.5 .W75 1959 Persis is released from an old house by an inquisitive turtle, and goes around discovering the natural world. Dare Wright was renowned for the books she made about another doll, Edith and her bear family. 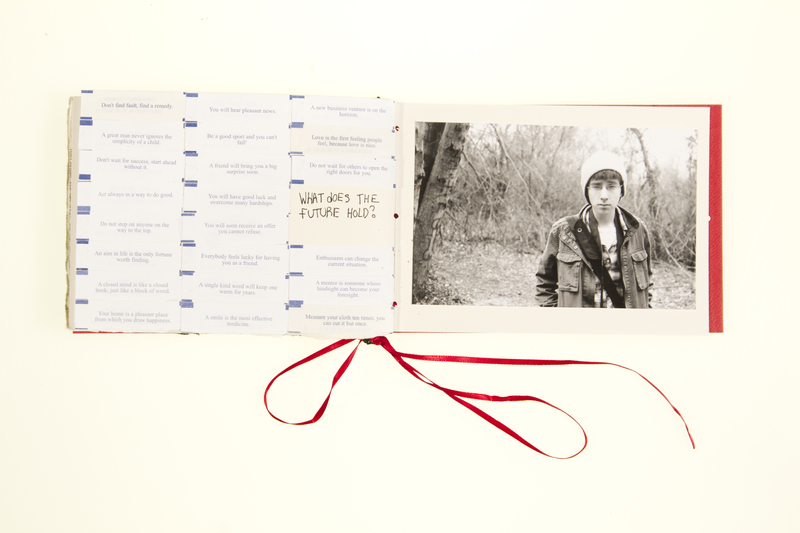 This entry was posted in artists' books, Seen and heard, Unpacking the collection, Visual Research and tagged education, library-as-laborartory, narrative, photobooks, Teen Academy, teens. Bookmark the permalink.